Paul Lambert introduced Sleuth in his first term as Assistant Headteacher at Knowsley Central School bringing about a swift and significant improvement in pupil outcomes and staff well-being. 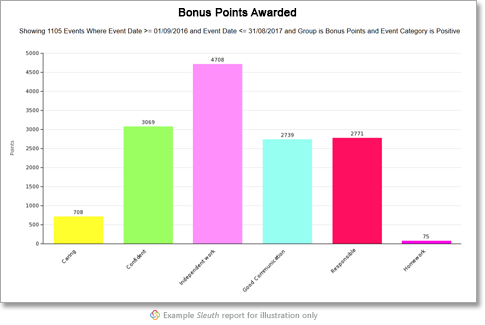 “Prior to Sleuth, we were recording serious events on a spreadsheet which enabled us to quantify incidents but it wasn’t information that we could use to analyse and inform practice. 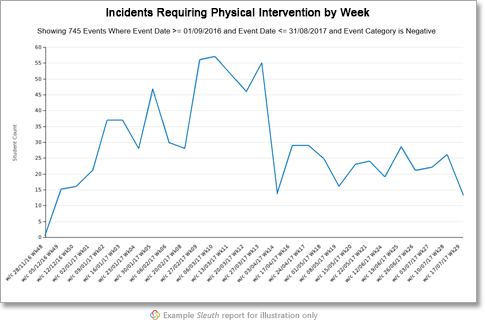 Incidents involving physical intervention were recorded in more detail in a red book but this wasn’t analysed so there was no information to develop new strategies. “We’re less than a term into using Sleuth and the number of RPIs has reduced by 50%, that’s a significant difference. “That’s because we can now analyse physical interventions much quicker and in more detail. Rather than read through the red book page by page and not be able to join anything up, with Sleuth I can just click and it will tell me all the physical interventions, holds, triggers, de-escalation, reasons, impact, timings, staff involved, injuries, everything I need. With one quick click, I can see everything I need to see about a child. “All staff have access to Sleuth, they have the information to help them understand why situations in the classroom are happening so they can intervene or influence; staff are more confident and are developing their skills to deal with different situations so there’s less dependence upon the senior leaders. Staff are having good conversations with pupils that are informed by Sleuth and have a clear focus and positive outcome, they can see visually, “This is where we are. This is the area we need to develop and improve“. Staff can really buy into that, and they have. “In staff meetings I’ve been able to show the analysis to staff, looked at where they’re taking place, why they’re taking place, what the reasons are, and then we’ve discussed, “What can we do differently? If half of our physical interventions involve staff on the playground, what can we do about that? In our case we’ve changed the structure of lunchtimes and staff are engaging with pupils over lunch and having good conversations about the day, how we’re going to have a successful afternoon, so on and so forth. “Staff use the information in Sleuth on a daily basis. At the end of each day they check lesson points so that the pupils know what they need to do to finish the week with a tuck shop voucher. Staff can also identify what lessons a particular individual may be struggling with so we can have a conversation about those particular lessons.